When It Comes To Natural Beauty, Strength, & Aesthetics… Nothing Beats Real Wood. Traditional Styling and Rich Hard Wood Tones Will Ensure Your Wood Blinds Will Compliment Any Room. Wood horizontal slat blinds have been around for many, many years. And no wonder, in terms of beauty and aesthetics you really can’t beat real wood. They come in a few different sized slats: 1 3/8 inch, 2 inch, and 2.5 inch slats. All of our wood blinds open from the bottom to the top. All our wood blinds can be tilted open and shut. You can also order a decorative tape that help you to add a little bit of accent color in your room. This option can pick up some of the colors that may be in your furniture, or your wallpaper. Better still, you can install your new wood blinds with an automated remote control system. Real wood can, under certain conditions (like high humidity, or intense sunlight) have slats warp. Unfortunately, natural wood blinds are not warranted against color fade or warping. But our faux wood blinds are guaranteed against those very conditions. Also, on larger windows, you’ll find that both real wood and faux wood can get very heavy. That’s why we often advise people not to use these blinds on large windows. When you lift the blinds to open them, all that weight wears on the cord over time, causing the cord to fail. If you want to use them on larger windows, we suggest breaking them up into smaller units. You should also be aware that while you can use these blinds in any room, they’re not the best for keeping out sunlight. Slat blinds create light gaps between the slats so in a bedroom there’s still some light that is able to leak through into the room. This is fine for some homeowners, but many homeowners prefer a darker bedroom. Unlike Faux Wood, plastic or aluminum blinds, Real wood blinds can be stained and finished to match any decor. 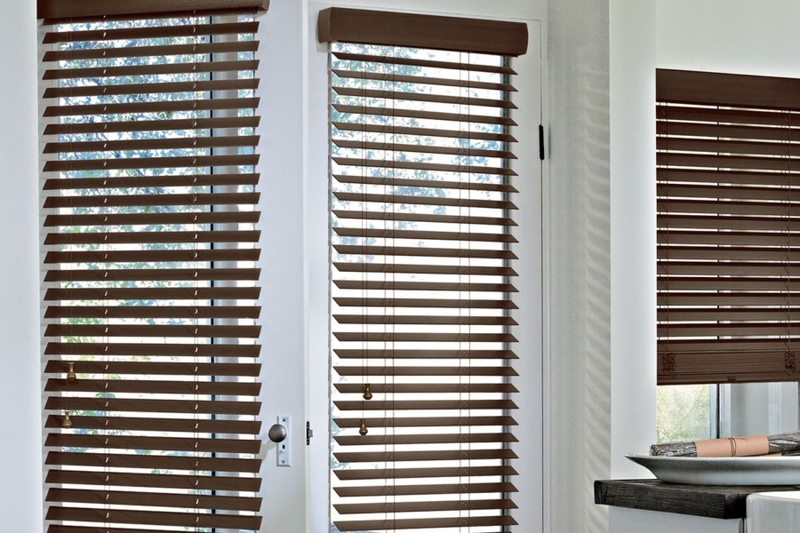 Wooden blinds are also versatile when it comes to the selection of wood and the size of the slats. 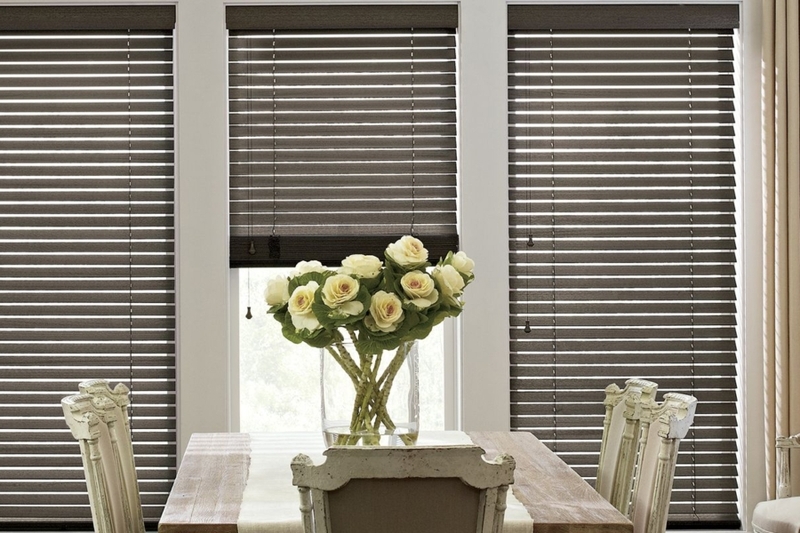 Bamboo blinds are ideal for a casual space, while French blinds are a better option for a more formal room. 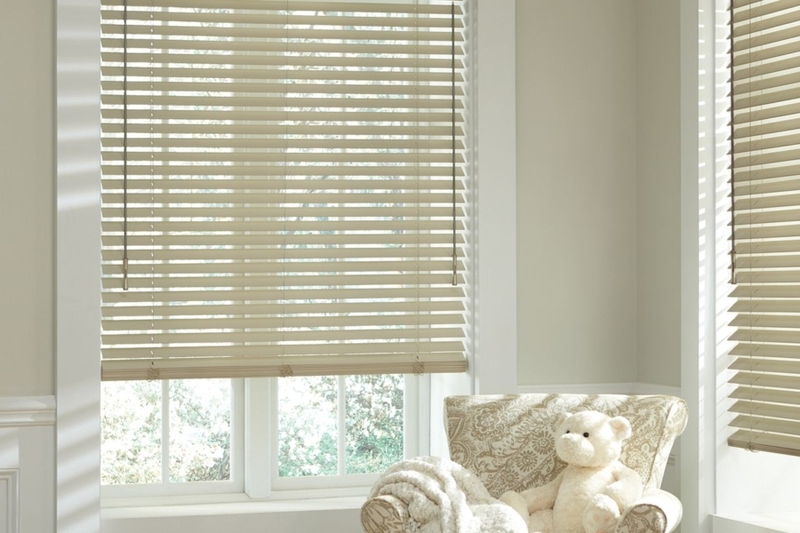 The range of designs help the blinds to work in with a variety of window fashions, certainly many more than plastic blinds, plastic window shades or even faux wood shades. When you’re ready to have a complimentary in-home decorator come to your home, or to learn more about wood and faux wood blinds, please call us at 775-322-8833. Or just click on the “contact” button below.